Few people in wrestling have spent as much time with Vince McMahon as Bruce Prichard. 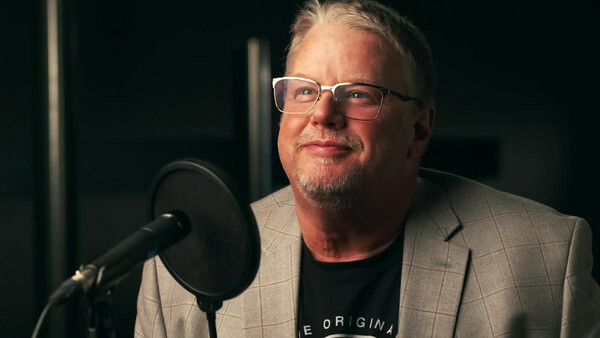 As a McMahon lieutenant for (on and off) over 30 years, Prichard came to know what made the boss tick, when he should pitch ideas and how he could get the ideas, characters and storylines on TV he wanted to see. His work as a lead creative mind for the WWF/WWE, as well as stints working Gorilla, producing promos and working as Brother Love on screen himself, made Bruce privy to some of the best stories in company history. Now, via his 'Something To Wrestle With' podcast, Prichard has been able to share some of those tales with the world. His podcast is positively stacked with funny anecdotes and stunning insight, and it's become one of the most popular because of that depth. When listeners tune in to the show, they know they're about to hear something that'll make them laugh, cry or leave them surprised. Some of the stories Bruce has told will leave you rolling on the floor in laughter. Others, in between spot-on impressions, will have tears tumbling down your cheeks for a very different reason. Prepare to be shocked and prepare to giggle.